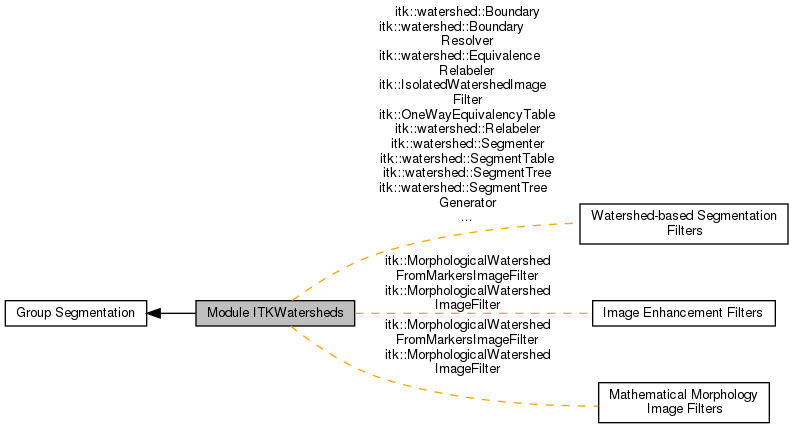 This module contains classes related to watershed segmentation. The watershed algorithm proceeds in several steps. First, an initial classification of all points into catchment basin regions is done by tracing each point down its path of steepest descent to a local minima. Next, neighboring regions and the boundaries between them are analyzed according to some saliency measure (such as minimum boundary height) to produce a tree of merges among adjacent regions. These merges occur at different maximum saliency values. Finally, a label images are generated from the merge tree.